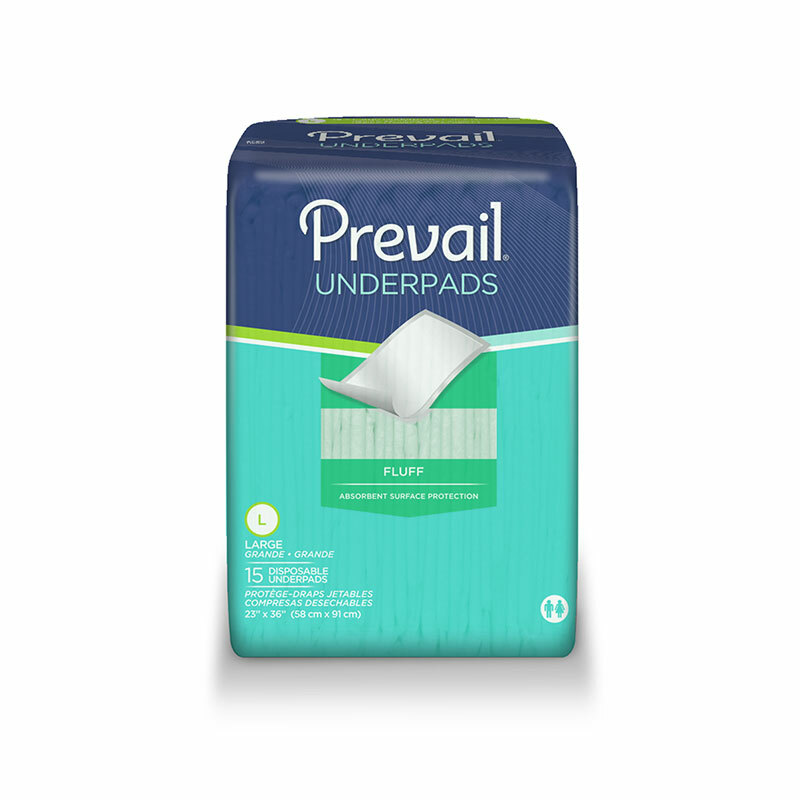 You are buying the First Quality Prevail Underpad 23x36 Green 23"x36" UP-150 150/cs - Model #UP-150 from First Quality. First Quality is a leading manufacturer of incontinence products including briefs, liners, underwear, diapers, and underpads. At ADW Diabetes, we do our best to offer the complete product line by First Quatliy with discounted pricing up to 60% off retail. First Quality Prevail Underpad 23x36 Green 23"x36" UP-150 150/cs - can be used with beds. Its absorbency satisfies the extra-protection needs of those who worry from unpredictable and recurrent leakage. These Underpads are designed to protect beds, chairs and other surfaces that need protection from leakage. Size: Fluff - Printed Bag 23"x36"